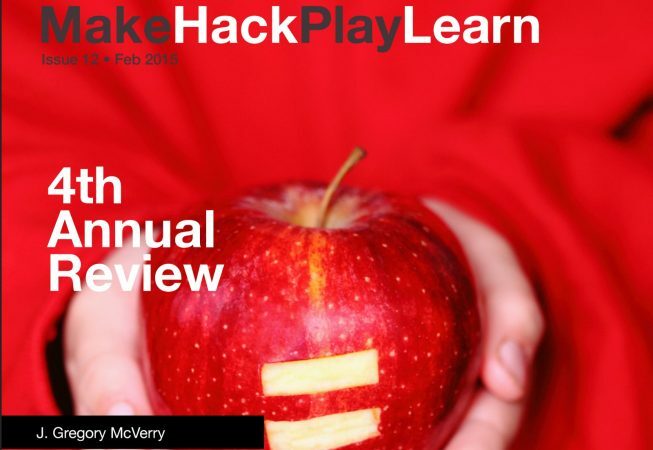 During the time of the YouShow, Greg worked on a very impressive format for his annual performance review, publishing MakeHackPlayLearn (February 2015) it digitally as something that looks like a published magazine. His review features rich infographics representing his work teaching and online. He also started a known site for his “quick thoughts”.